Discussion in 'Pacific Northwet - Where it's green. And wet.' started by DantesDame, Aug 25, 2008. Alright kids, you asked for it and now you're getting it! This thread is for regional flea market posts ONLY. Keeping the banter to a minimum will help the bikes/gear/stuff offered be more visible. Please go back to your original post and edit it once the item is gone. I think I've had it longer than drrags did. We've actually been hack-pooling home from work, and that's a pretty good time. Buy my ONE OF US stuff. comes with all kinds a extras. has the comfort seat comes with the stock seat, a custom fit supertrapp from a SV600, new exhaust gasket, new rear light( spade style so it won't fall out any more) new front tire, 50% rear, extra set a fat bars (will need new clamps for fat bars) new carb slide and diaphram. extra carb and bits, extra plastic, 18 liter and 12 liter tanks, oil filters, air filters, new battery, forks just resealed and polished (oil is to high but thats easy enough) all the mods and etc that have been done to the Lc4's etc etc. the rocker leaks, I'm busy. will need brakes sometime soon. and it needs new bark busters. and could use a longer clutch cable. no, I won't ship it. no sale unseen. you want it, come look at it. I'll try and answer any questions and will be honest bout it. yes it's been rode hard, yup, it's hit the ground a time er three. yup, was a daily rider year round for along time. Nope, Never Ever let me down. something like 25k miles but wih the notorious breaking speedo cable there might be a few thou on top a that. .
$2800. or talk ta me. no lowball stupid offers please. be real. How come this wasn't "For Sale" a year and a half ago when I was bike shopping!!!!!!!!! Oh well. Good luck on selling. 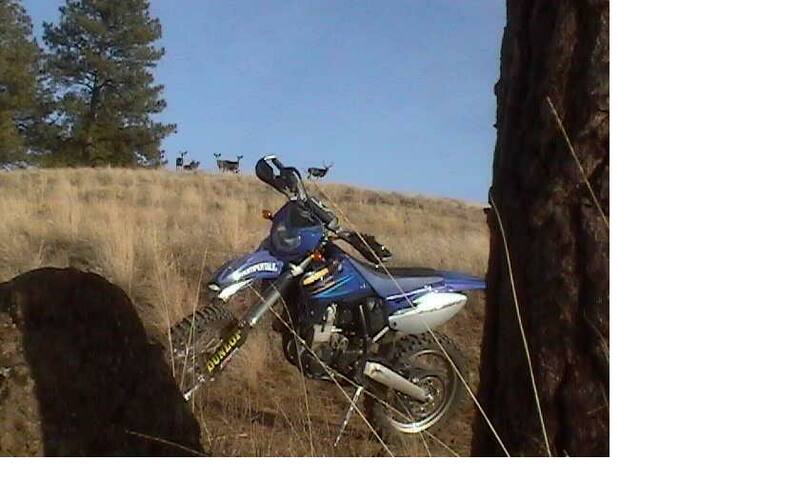 I have an '05 Sherco 4.5i. Street legal. Bike probably has less than 50 hours on it, but can't swear to that because the PO (an inmate) said the clock reset when he changed the battery. I have most of an additional set of plastics, some sprockets etc...I love the bike, FI rocks, but I can't get a large tank for the bike, and am heading to the desert to ride next year so need something with a longer range. 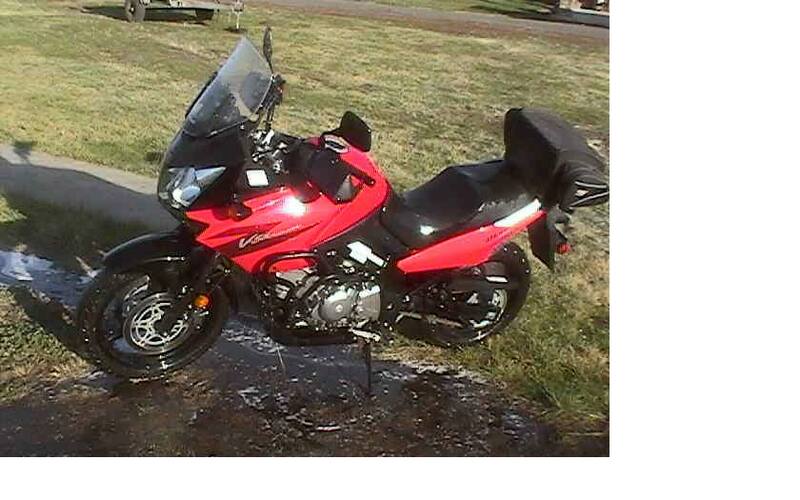 I am slao thinking of getting rid of my '06 V-Strom 650. The bike has 3980 miles. Still on original tires, although I have a new set of tkc 80's that will go with it. 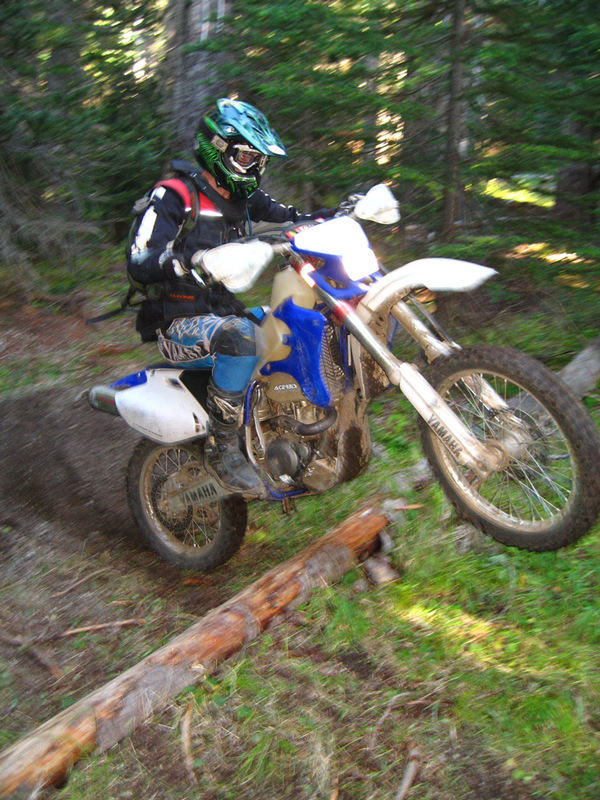 The bike has been on the ground once in its life, on the right side. If I touched up the paint on the crash bars you wouldn't know it though. Great bike, however, the reason for getting the bike was that my wife had thought she would be riding behind me. She finds that she doesn't enjoy it, so I am going to go in a different direction. pricing is somewhat negotiable, but I don't really need to sell, so I'm not in a hurry. I've got a plated 2003 WR250F. It's only got 180hrs on it since new and comes with a BUNCH of extras. But I cracked the oil-filter cover when we were riding up in the Gifford Pinchot National Forrest last month. I was able to repair the cover with epoxy and ride-out, but the oil passage to the head was partially blocked and it burned-up the intake cam. Pictures and more details here. The engine never actually failed, and it was actually still running pretty good when I took it apart (there was a slight tick), but the head and intake cam will both need to be replaced. As the pictures show, the cam journals are smoked. The exhaust cam, $500 stainless valves, springs and retainers can all be reused though. There doesn't appear to be any other damage. I've been told it will cost about $500 to get this bike running again. This has been a GREAT trailbike. 100% reliable. I ride it to/from all the trail around here (only a few miles of pavement) and it's an absolute blast on tight, technical trails. It's been meticulously maintained and is outfitted with all the top-shelf parts. Asking $2600 as-is, and I'm willing to sell for a lower price if there are any aftermarket parts that the buyer doesn't want/need. If it doesn't sell, I'm planning to put a new head on it and will sell it as a complete, running bike for $3500. G-Funk That ... Umm ..... "Dude"
Oh, and on the rare chance that someone wants any of this (and that said person(s) actually see this post in the next while), I will be up in PDX later today. Today being the 28th. First - the flagship item. 70's reissue Fender Strat - MIM. Not only is this guitar in mint shape, it's a tank, unlike my other MIM 70's strat. I think the body is made of swamp ash instead of alder. Because of the density of the body, the tone and sustain is sweet. The extra sweet part - comes with not only one pickguard and set of pickups, but another pickguard AND texas special pickups. Currently the texas specials are what's in her. The current hardware on her is the vintage hardware that has a slight (on purpose) yellowing to it to make it look old ...... Also comes with a gig bag. Brand new without the texas specials, you're looking at 700 bucks for one of these. I'm asking 350.00 for everything. This is my 3rd Sheraton II. The first 2 were from 2001 and 2003. 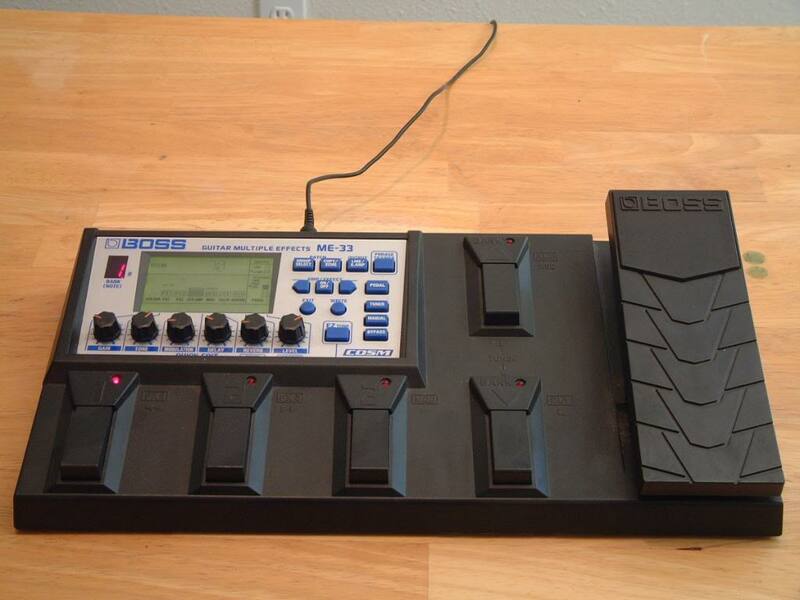 They were lighter - this thing, again, is a tank, and the sustain and tone is awesome because of it. 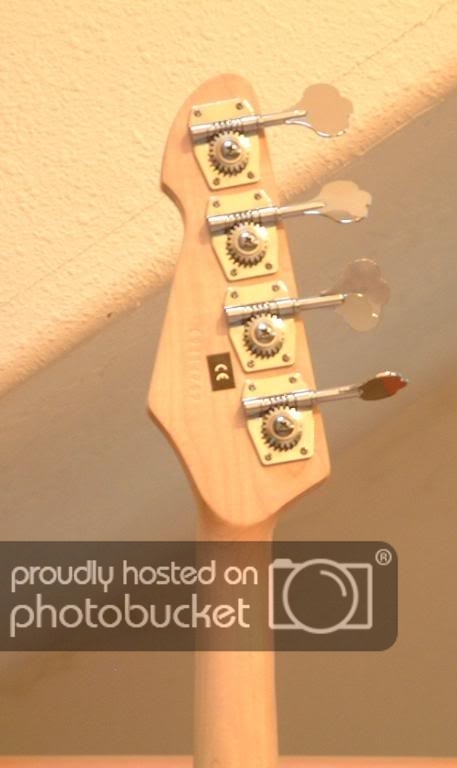 The neck is straight on and true, and there's just a little nick at the very top of the head stock. There are a few things up with this guitar, which is considered in the asking price. The pickup covers and stop piece are a little worn looking. I think oxidation is the issue .... and there's a short in the wiring. Nothing that can't be fixed. What's more - if you slap a set of Seymour Duncan gold plated 58s in it - well - you're done - and a new stop piece and she'd look in just about show room condition. I thought I would do it myself, but with all my other guitars, she's just sat in the studio closet. Brand new this costs 700.00 bucks. I'm asking 200 obo - as is. Seriously, slap a new set of pickups in this thing and it's ready to rock. Comes with a hardhsell case. 1990's Hamer Slammer Les Paul Studio style electric guitar. The guitar is mint across the board. No dings, chips, buckle rash. This one as well needs a new set of pick ups. Or it needs to be re-wired. It currently has a set of Seymour Duncan 58s in it - which they sound awesome. If you took the time to re-wire it or took it in, the guitar would be ready to go. 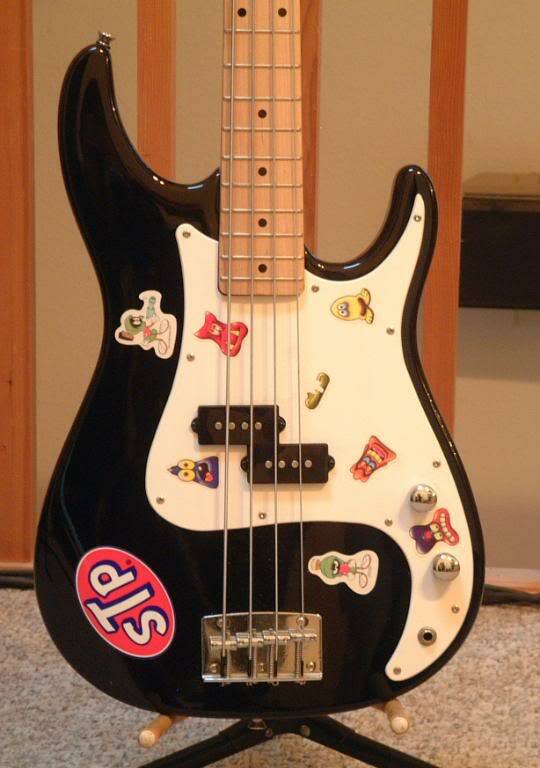 1990s Peavey (P-Bass styled) crazily stickered 4 string bass. Needs new pickups - and I just want it out of my studio. 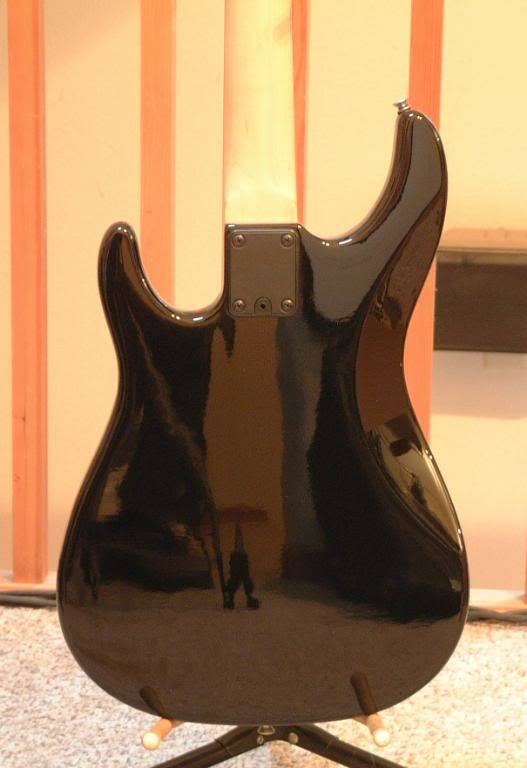 Neck is straight and true - comes with gig bag. 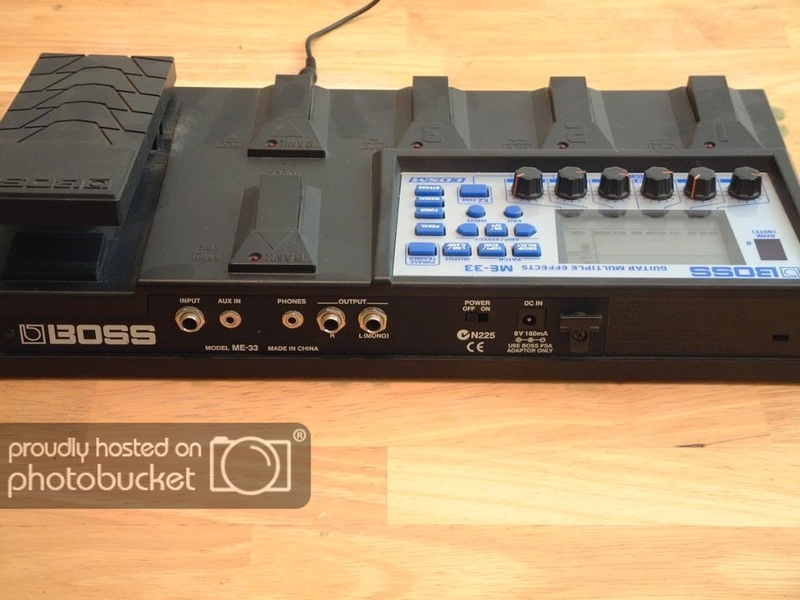 Boss GT-6 guitar multi effects processor. 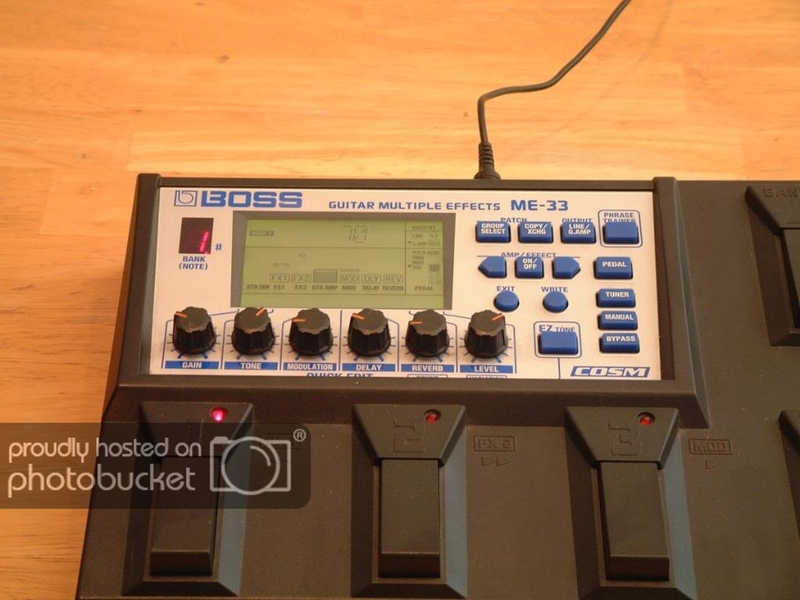 Boss ME-33 guitar multi effects unit. In great shape, no nicks, scratches, etc - and is in perfect working order. Comes with manual in PDF format on CD. If anyone is interested in any of this, PM me. Damn Funk...If only I had the dosh I'd be all over some a that. the kids would love it. someone buy my bike... please? Reed 14, gets a hankerin for a guitar, (he's artistic like that). so two years ago we flip for a cheap fender and a fuax pigmy. Colton, 19 "full on jock" gets guitar hero. gets bored and goes and grabs Reeds guitar. dust off the cobwebs and tunes it by ear having never played anything before. :huh then proceeds to master ever song on GH on a real guitar. now Reed is taking Guitar in high school. Pissed. I'm actually looking for an acoustic guitar for Reed for school. But Colton would love that LP Hammer with the effects box. Alright... I bought the bike from a friend earlier this year to supplement my XR650L. 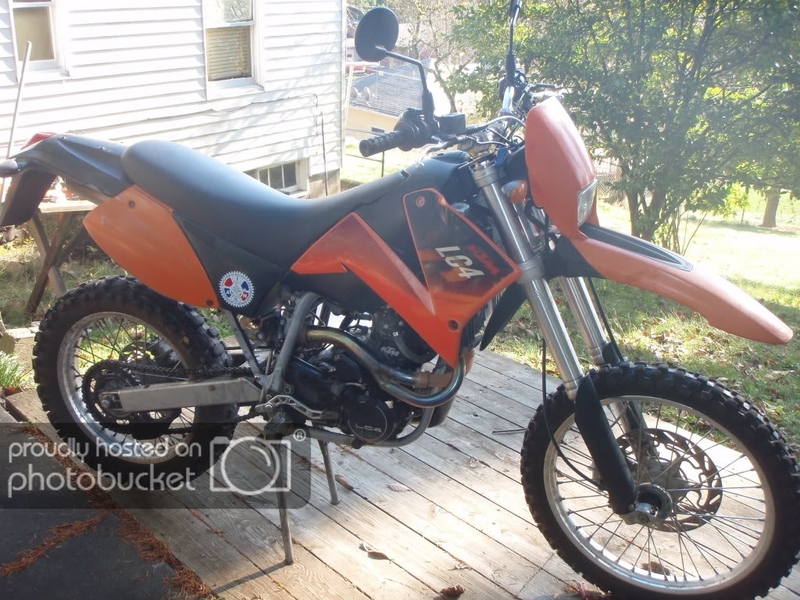 I planned to keep it as a "beater" dirt bike so I wouldn't trash the Honda on tight trails. Well, about two months after I got the DR350 the XRL took a dump down by the Nevada border (the countershaft stripped so I was looking at about a $1,000+ repair bill). I replaced the Honda with a DRZ400 which handles the trails about as well as the DR350 but it's street legal. Consequently the DR350 has been sitting in the garage since early April. I start it and run it about once a month to keep the carb clean. 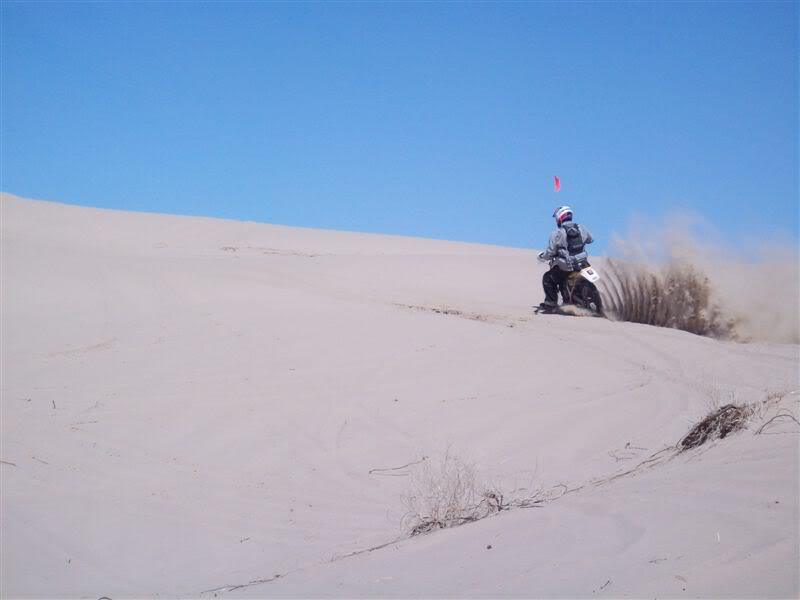 I've barely ridden the bike since I picked it up ~ I had it out at Pickle Butte twice, and spent three days at the Little Sahara dunes down in Utah. The previous owner used it as an early season trail clearing bike and didn't spend a whole lot of time riding it. There's the story... now the bike. -Professionally bored out to 435ccs. I don't know whether or not it's had head work done to it. The previous owner didn't remember. This thing does NOT pull like a 350. It felt like it had more power and torque than the XR650 Honda with a whole lot less weight. 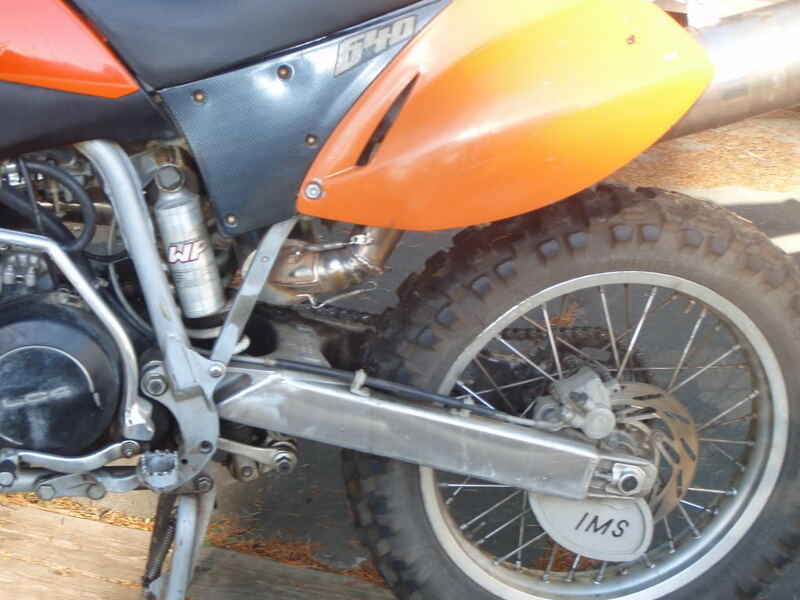 -Front forks and triple off a '98 (I think) RM250 ~ dual valved inverted forks. IMO they're a touch too long for the bike so it's really raked out. It makes for awesome high-speed and sand manners but it might not turn as well as it could in the tight stuff. -Just changed the oil and cleaned the carb and air filter about 4 miles ago. -It hasn't burned a drop of oil since I've had it but admittedly I haven't ridden it much. -Loud exhaust ~ could be good, could be bad. -This bike is just horribly ugly. -leaky petcock. I think. I just noticed this yesterday when I started it up... had some gas on my fingers when I turned the fuel on. I didn't really investigate. -leaky front brake caliper. I noticed this just before the sand dunes ride and didn't bother to fix it because I knew I wouldn't use the front brake in the sand. -Some sort of oil leak in the motor. There's a small pool right in front of the back tire. It's clean oil and not a blown shock. Actually, now that I think of it I may have over-oiled the air filter last time I serviced it. I'll check this out as a possibility when I get a chance. -Chain and sprockets are DONE. I've got a 14t front sprocket and I think a 47t back sprocket I'd throw it. Just needs a chain. -Seriously, the bike is amazingly ugly. -It can be a bear to kick over when cold. I think the compression is 12:1 and with that 435cc piston it takes a leg and a half to break it over when it's cold. I've kicked the steel caps off the toes of my MX boots and sprained an ankle with this thing. Once it's warmed up you can just use the compression release to roll it past TDC and it's no big deal. -The bike is not attractive. The plastic is all stained, the [yellow] paint is chipping off the frame, and the [purple and yellow] seat has some tears in it. So, basically this bike's got an awesome motor and great plush suspension and it'd make an fantastic trail bike. It's easy to ride and hard to look at... It pulls harder than the 650 Honda did and will bring the front end up in 3rd with a little body english. It did awesome in the dunes other than not revving high enough to stay on top of the sand on the big climbs. You could fix all the bike's issues in a Saturday or just ride it as-is for a little while. I'd patch everything up but I've got two jobs and another bike to break a wrench on. I'd like to get cash out of this, although I would consider trades for trials bikes. 250-500cc two strokes to build into a dune sled, or something else interesting (AR15? who knows. Just throw it up there). It's probably best to call with questions or to come look at it. Heath ~ 208-863-9425. E-mail works too but I don't have internet at home so it might be a while until I get back to you. Also, I'm gonna be hunting on 11-29 and 11-30 and won't have cell coverage. you could text or leave me a message. 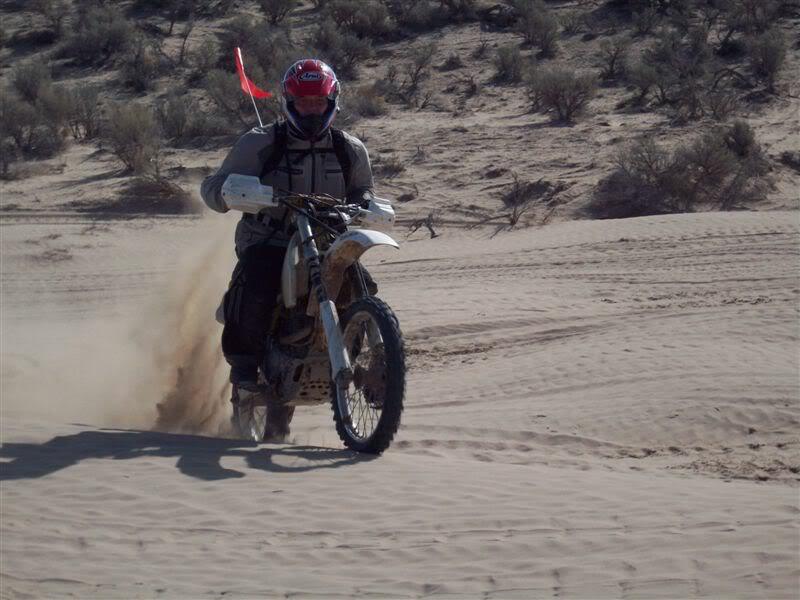 So, if you didn't know I ride pretty hard and I wasn't kind to the bike at the dunes... this thing is definately "as is." I haven't ridden it enough to know about any major problems. Tri-cities E. WA. State U.S.A.
My father has a '73 CR125 Elsinore that he would like to trade for a small Dualsport to haul on his motorhome. It isn't currently running, the bike hasn't been fired in 20+ years and the piston doesn't want to move. Bike is in generaly good condition. Tank is good with no internal rust, wheels look great, frame solid. Needs side panels, $80 at vintage iron. Hey 4runner, they have a new chinese 200 cc supermoto CHEAP at Canyon Country Cycle. It looks cool and has a DR200 motor in it. DLink XF200. $2900. or talk ta me. no lowball stupid offers please. be real. Ok... well things are up in the air again so...every time I have to bump this it goes up. 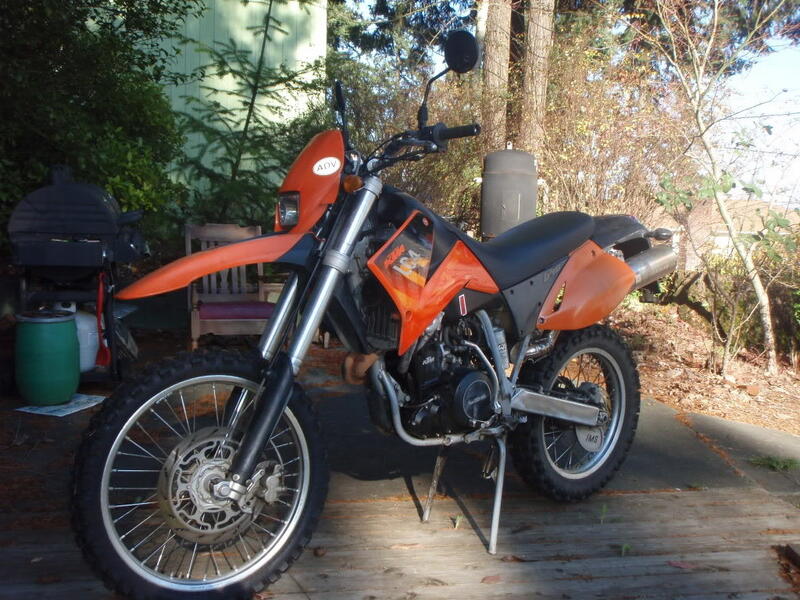 Look... people want a hell of allot more for a KLR:huh so I Figure this is a steal. I have a set of Acerbis barkbusters that came off my 450EXC. They should fit this (I noticed Dagz said it needed some). They're scuffed but functional. Buy it and I'll throw em in for free. I thought the same thing yesterday when I read it but didn't want to say anything. It was the weekend after all.